Last year I drove my Jeep up to Coyote Flats and Climbed Vagabond and Cloudripper in one day. During that trip, while on the top of Cloudripper I saw one of the most beautiful views I had ever seen. While sitting there catching my breath I was staring down at a series of beautiful lakes that had the most stunning color I had ever seen. And to top the view off, there was a gigantic glacier sitting at the base of Mount Sill. I did not know it then but this was the Palisades Glacier the most southern Glacier in the Northern Hemisphere. 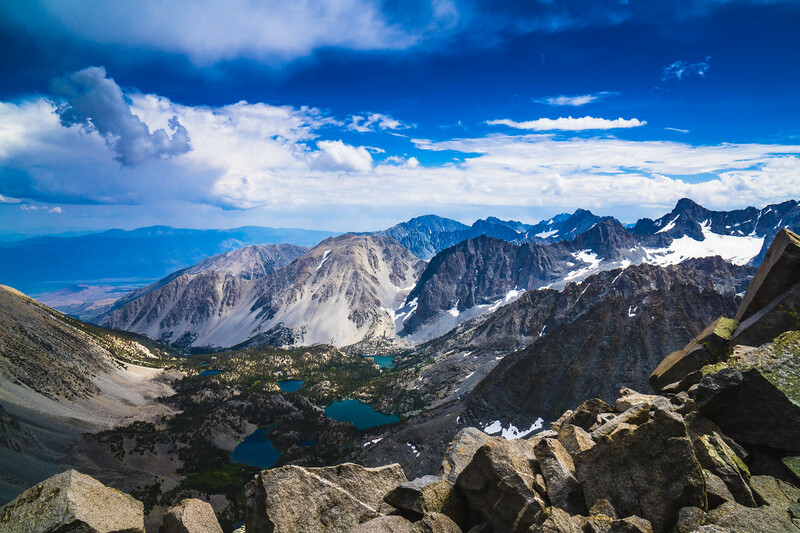 Ever since this hike, I have been obsessed with Mt Sill and the Palisades Glacier and wanted to go back. Tonight I have been planning this trip to hopefully complete in the near future. I have found Explore More Nature Blog to be a fantastic resource for information on this backpacking trip. Permits for this trailhead can be found here. If anyone has any other insights please let me know. I ended up attempting this trip and got caught in some snow. Didn't quite make it to the Palisades Glacier but it was a fun trip. You can read the whole trip here: North Fork to 2nd Lake Sierra Nevada in a Snow Storm.